This photo is taken from a very old slide but the plant is still growing in my garden and most years looks as good as this. However this year it has not done so well. I think it must be a combination of the alternating very dry days and the cold wet days this summer. It is a good job I am not relying on this as my source of seeds. My best source of seeds is an indoor stall in Leeds Market. The stall sells dried fruits and nuts which are weighed out on request from large jars as well as other aids for baking. On my first visit to Poland I went to stay with my mother’s sister and her family who had a small farm in the Masurian Lakes in the North East of Poland. This was still in Communist times. I saw there was a huge field of large headed purple flowered poppies. My auntie had a Government contract that year to grow these poppies for the production of morphine for hospital use. 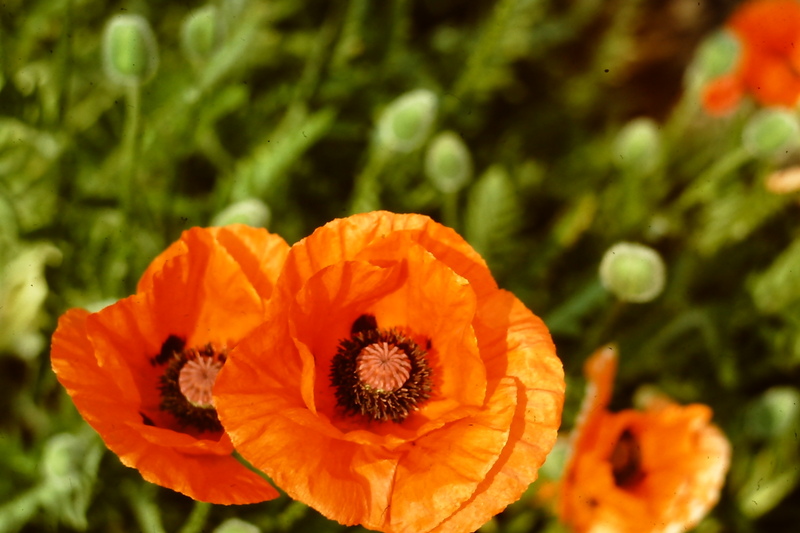 Poppy seeds of superior quality for culinary purposes are harvested when they are ripe, after the seed pod has dried. Seeds for the production of morphine are harvested while the seed pods are green and their latex is abundant and when the seeds have only just begun to grow. This Poppy Seed cake is inspired by one I had when I was in America. It is like a lemon drizzle cake with fewer poppy seeds than in my other recipes. 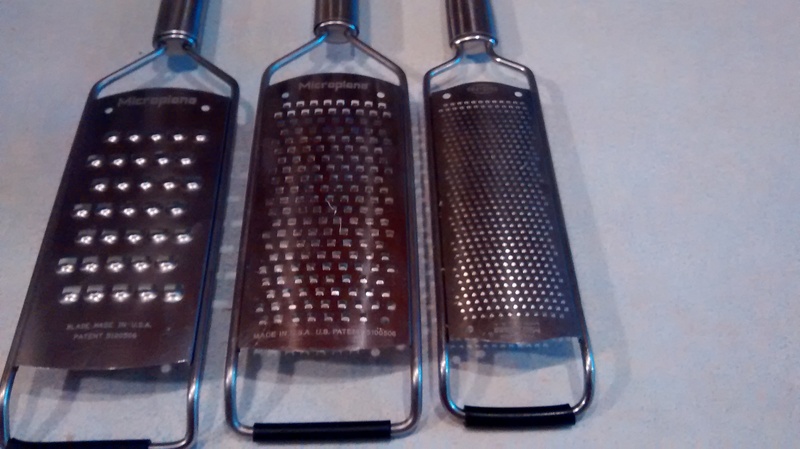 This can be made with butter or block baking margarine. I find that with many flavoured cakes margarine is as good if not better than butter. 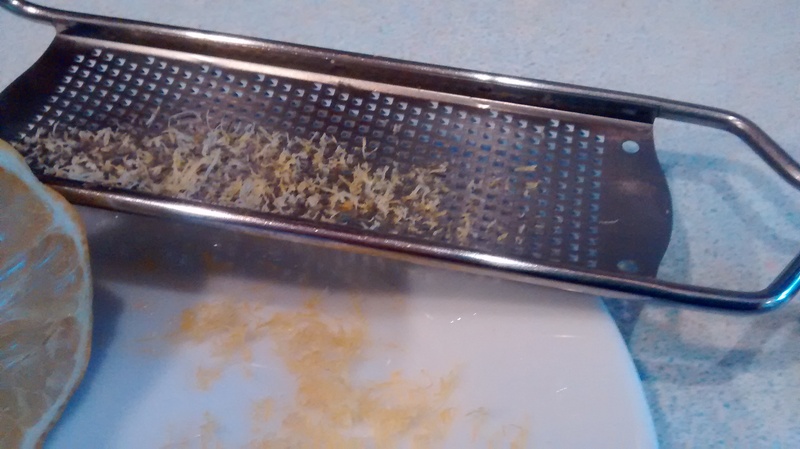 To get the most zest from the lemons I use a fine Microplane Zester – It is the best! Grease and line a 20cm/8inch square tin. Beat the butter and sugar together till they are light and creamy. Lightly beat the eggs together and then beat them into the mixture, a little at a time, adding a little of the flour with the last of the eggs. Using a metal spoon, fold in the remaining flour and the water and then fold in the poppy seeds. Turn the mixture into the prepared tin and bake the cake for about 35 minutes, or until it starts to shrink from the sides of the tin. In a small pan dissolve the sugar in the lemon juice over a gentle heat. When the cake is baked remove it from the oven and leave for a few minutes before turning it out onto a wire rack. Put a plate underneath, prick the cake all over with a fine skewer whilst it is still warm and spoon the lemon glaze over it. 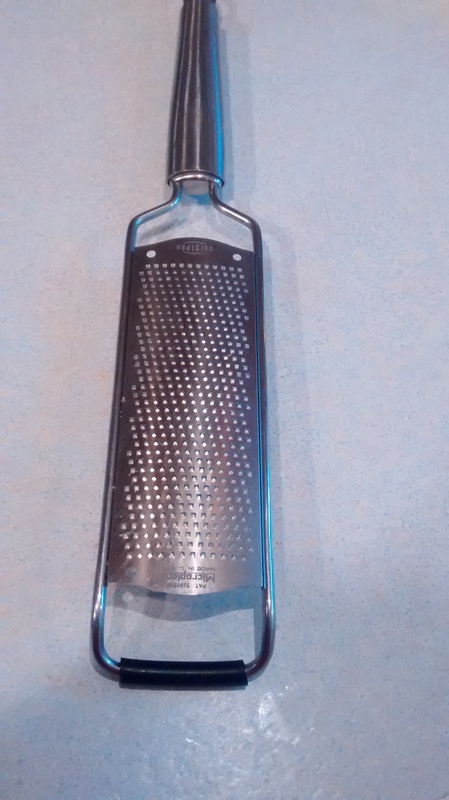 If any runs through spoon it back on. When the cake is cold dust it with icing sugar before serving.